Superheroes and their journeys are big parts of Western comic stories. It is a genre that has existed for decades and is currently going through a renaissance, thanks to the works of Marvel Studios. Those stories, as told by Western writers, paints Superheroes as celebrated members of the public because of their powers and deeds. Then enters One Punch Man, a webcomic and satire of the entire superhero genre. They say people don’t know what they want until you give them. Well, One Punch Man was certainly what comic readers and superhero genre followers didn’t realize they wanted until they found it. 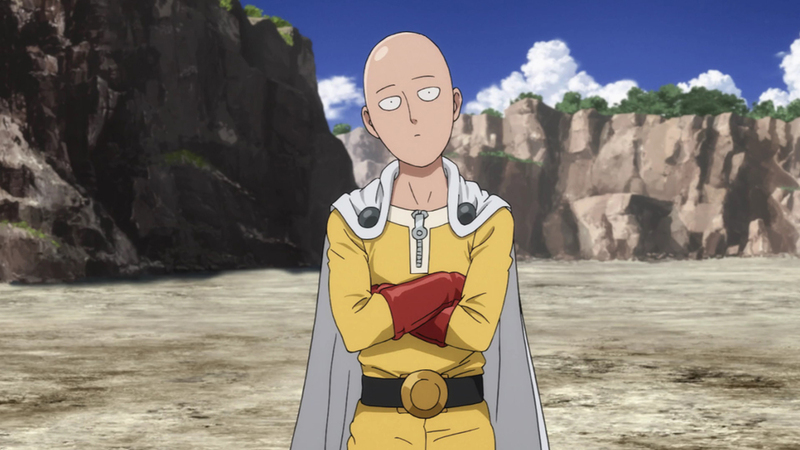 Created by ‘ONE’, One-Punch Man tells the story of Saitama, an overpowered superhero who has become too powerful to find excitement in the regular stream of challengers who come his way. His story is of his journey to find excitement in superhero battles again, and perhaps name recognition. One-Punch Man started out as a self-published comic on Nitosha, a Japanese platform for independent publication of manga (Japanese comics). On the website, it is considered a success if a comic fetches 30 comments, but following the publishing of One-Punch Man, the comic was fetching an average of one thousand comments by the 30th chapter. In love with the comic series, manga artist Yusuke Murata decided he had to work with ONE and thus, began the journey of One-Punch Man to the screen. Yusuke redrew the comic series and got it published by major Japanese comic publishing company, Weekly Young Jump Comics. Turning the series into a commercially sold project turned out to be a masterstroke by Yusuke Murata. In its first year of release, the comic sold 2.2 million copies and sold an additional 3.2 million in the second year. By the time the series had been in publication for five years, it had sold over 15 million copies. In the United States, the manga debuted on the New York Best Sellers list and was nominated for an Eisner Award in 2015. The success of the series in its commercial publication inspired the development of an anime version of the comic. The first season went live on air in Japan on the 5th of October 2015. The first season was licensed to Hulu and it streamed for the first time on September 6, 2015. The animated version of the comic enjoys a similar success with the manga version and a second season has already been announced to be released for airing in 2019. In the One-Punch Man universe exists an earth-like supercontinent where extremely powerful monsters and villains appear and wreak havoc. The planet’s government in an effort to combat the menace created an organization that employs superheroes to combat the monsters on behalf of the planet. Every superhero registered under the Hero Association (name of the organization) are ranked in a class system from a Class C to a Class S. The superheroes are ranked based on their power level to determine the villains and monsters they are qualified to fight against. In this bizarro world exists Saitama, who, while growing up on this planet, had a dream to become a superhero and fight all the monsters with the planet praising his name. He spent three years training to be a superhero and got so overwhelmingly powerful that he could defeat any opponent with a singular punch. His power level ultimately made fighting monsters and villains an unexciting experience for him, defeating the purpose of why he wanted to be a superhero in the first place. While on his solitary journey of finding a villain or monster who was capable of giving him a real challenge, he met Genos, a cyborg who had his own personal mission of delivering revenge on another cyborg that destroyed his hometown, including his family. Saitama takes Genos under his wings and the two set out to both achieve each other’s purpose by joining the Hero Association. Genos took quickly to the testing structure of the Association and was placed in the highest class, Class S. Saitama, on the other hand, failed the Hero Association test and he was placed in Class C as a low ranked superhero. 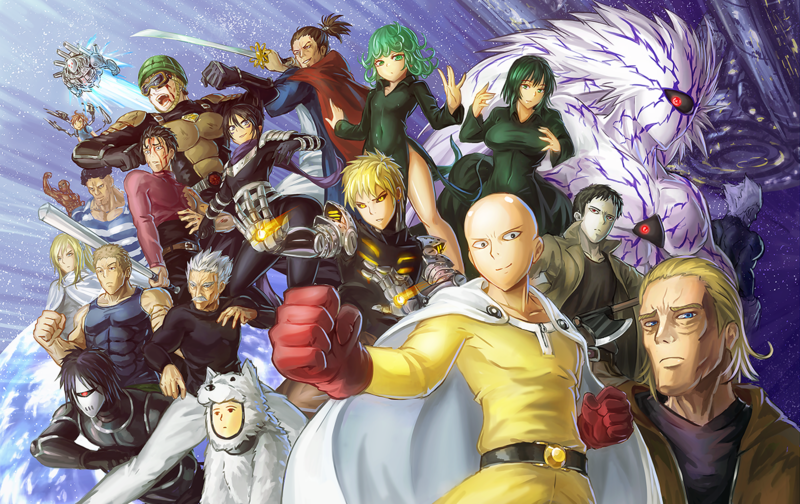 After spending some time among the Superheroes in the Hero Association, Saitama gets promoted to a Class B after the recognition of some feats he performed in the protection of the planet. As Saitama spends more time in the group, he starts to learn about the skills he lacks and opens himself up to learn. He joined a tournament to learn about martial arts but joined the competition under the pretense of being another hero. When he was caught, he fled to avoid an arrest. In his absence, the tournament and city are overrun by a group of monsters from the Monsters Association. They defeat the Superheroes who are present, including Genos. Saitama, after learning of the attack, returns to fight the monsters. He defeats the monsters before they could do any more serious damage to the people and he gains some of the admiration he sought when he set out to become a superhero. During the development of the comic, ONE describes his motivation as creating a hero whose real problems were dealing with the mundane situations of life rather than the big bad villains that are prevalent in Western superhero stories. The first season of the anime got a great reception from fans and critics for its storytelling, animation quality, and visuals. The first season consists of 12 episodes and a new season is expected to be released in 2019. The first season consists of important characters such as Saitama, the bored superhero which is voiced by Makoto Furukawa in Japanese. Max Mittelman voices the character in the English version of the show. Genos is the cyborg who decides to become Saitama’s pupil. His story arc is driven by his quest for revenge and it is voiced by Kaito Ishikawa in Japanese and Zach Aguilar in the English dub. Saitama and Genos are the two main characters in the One-Punch Man story but a supporting cast of characters from the Hero Association includes Tornado, a highly ranked superhero who is considered the second most powerful hero in the association. She is voiced by Aoi Yüki in the original Japanese version and Marieve Herrington brings the character to life in the English version. Other prominent members of the cast and fellow members of the Hero Association are Bang, ranked at number 3 who is voiced by Kazuhiro Yamaji in Japanese and Will Barret in English. Child Emperor, ranked number 5 in the Association is one of the greatest heroes on the planet despite just being a 10-year-old boy. He is voiced by Minami Takayama and Sara Cravens voices his English version. Other heroes include Flashy Flash, Watchdog Man, Pig God, Tank-Top Master, Drive Knight and a host of others. The show is written by Mike McFarland, ONE, and Tomohiro Suzuki. Having had a highly successful first season, the production company of the show, Viz Media announced the second season would be released in April 2019. The announcement reveals little in terms of the plot of the second season but it is expected that a new foe will rise for Saitama, who, at the end of the show, finally embraced the responsibility of being a member of Hero Association, giving him and Genos will have a new enemy to deal with. Little has been revealed in terms of cast changes but one of the changes towards the second season is the director. The second season will no longer be directed by Shingo Natsume, who had directed the first season. It is part of the changes that came with switching the production company in charge of the project from Madhouse to J.C Staff. No other change has been announced and every other thing is expected to stay the same including the cast members of the show. The theme song artist behind one of the popular tracks of the show, The Hero, is also confirmed to return for the second season. For those who might be interested in seeing why One Punch Man is one of the most popular television projects on the planet presently, the show is available for streaming on Netflix. To stream on Netflix, simply create a Netflix account and subscribe for a monthly fee. If you are a new user, however, the first month is free. If you do not have a Netflix account and prefer not to have one, there are other ways to watch One Punch Man. You could download from hosting sites on the internet or download the apps, VidMate. It is a similar streaming platform to Netflix and it doesn’t have a subscription model. The application offers a variety of options for you to access the show. You can simply stream it or download in whatever video quality you prefer.